As a result of Soundfit winning second place at the Silicon Valley Startup Cup I thought I would take some time to reflect on the time I spent there and the things I learned. I had the pleasure to work as an intern with one of the companies within the BAAM or Bay Area Advanced Manufacturing Hub last summer. The hub is a coalition of San Leandro based companies all providing a “non-competing and complimentary” 3D printing service or a product. The coalition employs a very interesting model for workspaces especially for 3D printing since each company has their own specialized service where they can come together and achieve win/win situations. During my time there, I was a part and saw a lot of interaction between Type A Machines and Soundfit/3D Wares. Whenever each company was giving tours of investors or other people they would always stop at each company work area to give each company a chance to briefly explain their service or product even if the people touring had no intent of using the service or product. This convention enforced the strong sense of community and interdependence within BAAM. As an intern I got the to wear many different hats at the startup and be a part of teams that directly and indirectly acted with Espen and the founders of Mind 2 Matter, Rod Wagner and Justin Kelly. One project I was a member of was transforming a product designed for the sheet metal process to be properly designed for 3D printing. Upon showing the metal designed product to the Mind-2-Matter founders, they discussed with us the various areas on the product that were going to fail if the product was 3D printed as is. For example one of the insights for the 3D printing design principles was to add bosses to cylindrical features on a vertical wall because a 3D printer’s layer by layer printing process would not be able to make those features. In just that ten minute, their expertise of the 3D printing process saved that project time, money, and frustration. Over time I was able to gain domain expertise that earned the trust of the original team, so that even though I was an intern I was able to take part in several of the company’s strategy discussions. Also I was given the responsible for getting the incoming interns up to speed on the company’s procedures and on several projects. 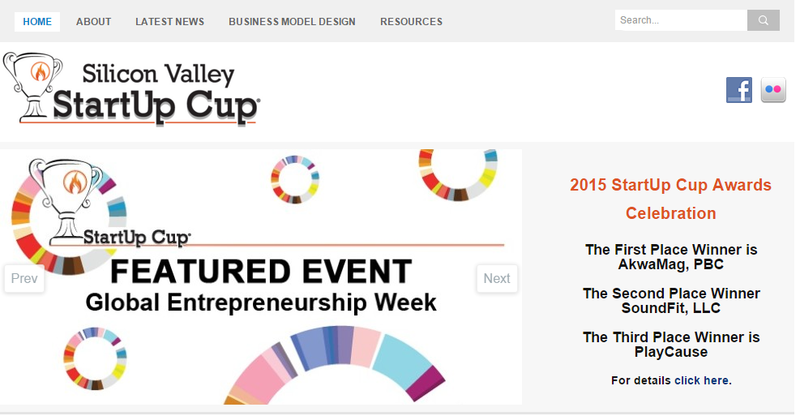 Another great experience was being a part of a pitch in Silicon Valley Cup competition. It was a unique experience that I haven’t really experienced in school; I learned three things from the pitch: bring a team, you don’t have to cover everything in the set time, and delegate roles to people at the pitch so the speaker doesn’t have to do everything. Unlike the other companies, we had our whole team there in the pitch which gave the panel a true sense of the company and some of the panelist’s critical concerns were based on the team. We struggled with the set time limit for the pitch so we all agreed a good strategy that we would employ next time was to use the unlimited time for discussing topics more in depth. One area that ate up a lot of time was the speaker trying to find the correct slide while talking. Easily we could have another or few other people to prep the slides for the main speaker. This balance of duties makes the pitch smoother and more effective. All of these things were brought up in a debrief we had after the pitch which also is very important to do after the event because trying to recall what things to improve or noticed is very hard to recall days/weeks later. During my time at SoundFit/3D Wares, I got a sense that this interdependent community at BAAM are all rallied around the goal of putting San Leandro back on the map. It serves as a possible model for other 3D printing technology companies to come together and achieve win/win situations. There were three different kind of projects that I would work: projects solely with SoundFit/3D Wares, projects with other BAAM companies, and projects with BAAM companies and outside companies. None of the logos are mine, but I created the map.